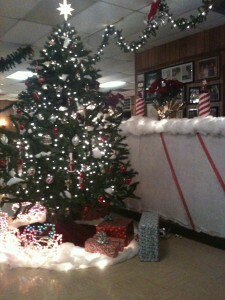 Rosie's Tamale House is decorated for the holidays. Heading toward Spicewood, Texas, on Hwy. 71 West for a meeting, I spotted Rosie’s Tamale House. I’d heard it was a Bee Cave staple and I had a few minutes to spare, so I dropped in for a breakfast taco to go. To go is right! In just a few minutes my order was ready and I was on my way. 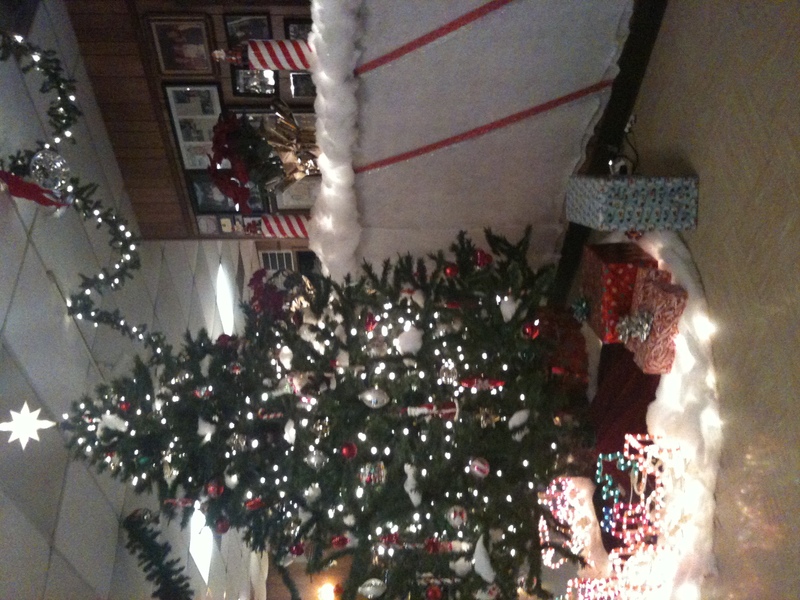 The inside of the restaurant is decked out for Christmas with festive lights, a tree and other decorations, which seems appropriate since the building appears to be an old house turned dining area. While you wait on your food, there’s a wide bench at the front to sit on, with photos reflecting Rosie’s past posted on the wall behind the bench. I got a breakfast taco with potatoes, eggs and cheese on a flour tortilla. Two items of choice come on the taco for $2, but extra additions are just a quarter more. The tacos are wrapped in foil, which keeps the delicious cheese melted until you arrive at your destination. When I opened the taco, I was delighted to see a lot of cheesy goodness melted on the taco as well as the aluminum foil it was wrapped in. The potatoes were well-cooked—not in the crispy sense, but in the well-boiled sense. I typically like crispy potatoes, but somehow the soft ones worked in this stuffed breakfast taco. I should have asked for salsa as it didn’t automatically come with any, but the results were still really good. I also ordered coffee, which came in a big styrofoam cup and a lid so I wouldn’t spill it on myself while driving (which happens more than I care to admit). It’s definitely a spot I’d recommend and I hope to try their tamales someday—maybe on our next trip to El Paso we can order some for the road. In September, there was a post on their Facebook page alluding to it possibly closing, so make sure and stop by while you can!